You may have noticed already, but yesterday was my rest day and I didn't post a review. Today begins week three. Time seems to be flying by on some days. Like the Power and Praise workout, Gospel Glory is an interval based workout but it's all cardio. With the Power and Praise workout we did some strength training using the Body Gospel bands. Not today though. Gospel Glory is strictly cardio and it's about 40 minutes long. I must admit this was my least favorite workout. It was a little too "dancy" for me. Don't get me wrong I like dancing, by trying to keep up with choreography during a workout is just not my thing. But, if you like dancing and such you will really enjoy today. There are plenty of fun moves, hops, cha-cha, stomp, clap, slap your foot (yes that's right) and other moves to keep you entertained. Regardless of how I felt about todays workout moves, I still got my heart rate up and burned lots of calories. Which for me is the most important thing. 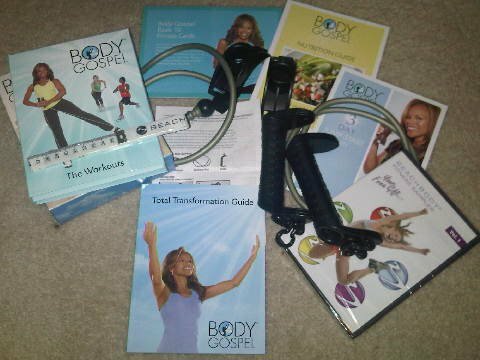 With that said, I encourage you to have fun and please let me know what you thought of the Gospel Glory workout. I would love to know what you think. The Transformation Guide: "Trust His Strength"
Today's topic was "Trust His Strength" and the scripture used today was Psalm 18:2, "The Lord is my rock, and my fortress, and my deliverer; my God, my strength, in whom I will trust." I'm beginning to notice that the subject of relying on God as our strength is a common theme in the Body Gospel program (and very appropriate I might add). People ask me all the time how I keep myself motivated to workout and how I make myself workout when I don't feel like it. Well, truth is, some days I don't feel like lacing up my sneakers, putting on my workout clothes, or pushing play on the dvd. There have even been days in the past, when I skipped all together. It's not that I don't have these challenges, it's just that I work through them. Some people miss a day and give up all together. I don't. I get up the next day as if the previous day didn't happen and I begin again. I don't give up and when my body says no, but my mind and spirit are screaming yes, I pray for strength. It's on those days that I know God's strength is made perfect in my weakness. 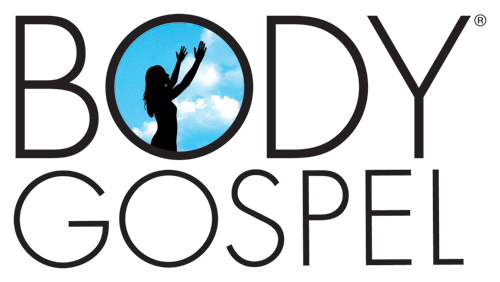 I was reading over the Body Gospel 30- Day Workout Calendar and I noticed the little note at the bottom that says, "For any day that Donna suggests the Body Revival or Gospel Glory Workouts, feel free to do Body Gospel Live! instead." So if you want to mix things up a bit and add some variety remember, you can swap the calendar day workouts for the suggested ones. Be blessed and See you tomorrow!